While trying to figure out a good topic to write a blog post about while enjoying a giant cup of coffee at a nearby Starbucks, I spied with my two eyes a table of three police officers who were on break. I recently read a great blog post by my buddy Scott Johnson titled “Cops and Low Blood Sugars” about a conversation he had recently with a couple of officers about traffic stops involving diabetes and low blood sugars. Feeling curious, I decided to follow Scott’s lead, so I grabbed my blog business cards and headed over to the table o’ police and asked if I might be able to interrupt them for a few minutes. To my surprise, they were very polite and happy to accommodate me, and invited me to sit down and join them. 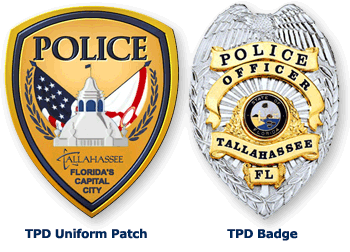 These particular three officers worked traffic duty with the Tallahassee Police Department. One of them had also worked for a time with the Florida Highway Patrol. The former FHP officer was the most vocal of the group, and seemed to have had the most experience encountering diabetes behind the wheel. I started with the same question that Scott did, inquiring if they had encountered traffic stops involving diabetes and low blood sugars. The former FHP officer said yes, and proceeded to share a couple of the more extreme cases he had dealt with. One story involved a man who was having a low blood sugar while driving on I-95 near Jacksonville into oncoming traffic. The officer said that he had to force the driver into the guardrail on the side of the highway to stop his car and keep him from injuring someone in a potential head on collision. Another story involved a PWD behind the wheel who was having a diabetic seizure and crashed into a tree. I proceeded to ask the officers how they distinguish a diabetic medical emergency from driving while intoxicated (DWI). The short answer, they don’t. At least, not initially. A low blood sugar and a DWI can cause such similar behavior that stopping the vehicle and getting the driver away from the wheel in the name of public safety is of the highest priority to the police officers. There was a lot of head nodding at that statement, so they appeared to be in agreement on this point. The officers said that they can sometimes distinguish a diabetic medical emergency from a DWI based on smell. Two of them described a sweet odor that comes off of a PWD when they are having a severe low, as opposed to the pungent smell of alcohol. I’m guessing what they are describing is the odor from the clothes-soaking sweat that sometimes accompanies a sudden low. Still, I’m not going to bank all of my points on an officer being able to help me based on smell alone. What if that officer has a cold on that one day that I need his sniffer to be fully functioning to save my life? To my relief, they also acknowledged other typical low blood sugar symptoms including confusion, sweating, inability to focus or respond to basic questions, shakiness, and in extreme situations even seizures, vomiting, and loss of consciousness. I gave them a mental check mark for knowing those. So what happens, after the car is stopped and everybody is safe? If it is a diabetic medical emergency, the officers confirmed that paramedics would be called. After that, they said to fully expect the applicable punishments according to law. Read: citations and possible suspension of driving privileges until review and approval for reinstatement by the medical review board. They informed me that the steps that a PWD would have to go through after such an event would likely be similar to those that someone who suffers from epilepsy would have to go through to get their license or have their license reinstated, including a period of time (unspecified how long, and probably varies by situation or state) showing that their diabetes is in good control. Still, they deferred to the medical review board, as once the traffic case is closed, they are often left out of the loop as to what exactly happens in the long term. From their no-nonsense point of view (and the one point where we disagreed), having a low blood sugar behind the wheel of a car and driving drunk are both totally preventable and are entirely the choice of the driver. One officer said that it is person’s choice whether or not they want to take responsibility for their diabetes and keep it under control, no different than a person’s choice to drink alcohol before they get behind the wheel of a car. We know that the realities of living with diabetes are not necessarily preventable or predictable. Life happens. Still, rather than argue, I encouraged the officer to continue, because I wanted him to understand that I’m asking for a HUGE number of people who live with diabetes each and every day. I want to make his job and our lives both easier in the unfortunate event that we do find ourselves on the side of the road having to deal with each other. What can we do, as PWD’s, to help police officers help us in a time of need? Wear a medical alert ID on your wrist. All three police officers acknowledged that recognizing a medical alert bracelet on the wrist or around the neck of a person is part of their training. They even followed up by saying that the wrist is the first place they would look, since they are trained to make sure they can see a driver’s hands at all times. I also inquired about bumper stickers or window decals that say “Diabetic Driver.” They all said that it might help, but a medical ID on the wrist would be better. In a traffic stop, they are trained to look for other things beyond what a bumper sticker or window decal says, and a medical ID on the driver is more indicative that they are indeed the person in need of attention. Get your drivers license to indicate that you have diabetes or are insulin dependent. Check your blood sugar EVERY time before you get behind the wheel of a car. The officers (and me) all agreed that managing diabetes is the most important thing we can do before getting behind the wheel of a car. Before you drive anywhere, stop and take 30 seconds to check your blood sugar, and if necessary treat accordingly. Let’s be honest, you probably need to check it anyway. Do I Really Need a Medic Alert ID? 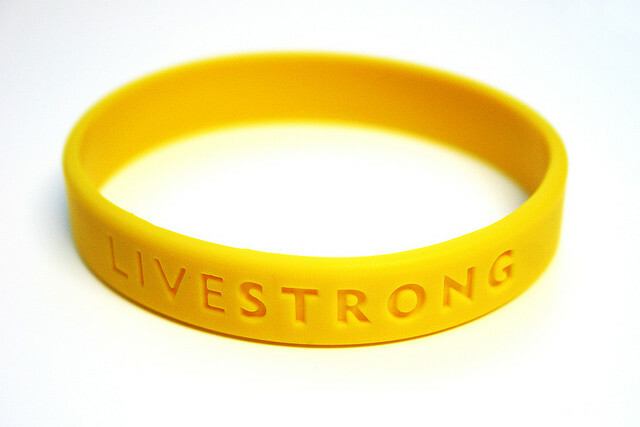 Being an adult who is self-admittedly too independent for my own good, a cyclist, and quite simply a PWD who is out and about in the world, it makes sense that I get a medic alert ID and wear it as religiously as I do my yellow LIVESTRONG bracelet. Having read posts like Sarah’s “Three Year Present” and coming from the perspective of maintaining my independence as much as possible when it comes to my health and well-being, I’m now on the prowl for a medic alert that fits my style. But what do I really need? How much info do I need to be available via my medic alert bracelet? Do I really have so much medical information that I need a 2GB USB drive integrated into my medic alert? Do I need a subscription service like that offered by the MedicAlert Foundation, where my ID has a unique number on it that links to additional information about me should it be needed? Or can I get away with just the basics about my diabetes and allergies with a simple engraving on the back? And what do I want? There are so many options compared to the simplicity of when I was a kid and wore a medic alert bracelet or necklace. I could never keep up with the bracelet that just said “Diabetes” on it. It was cheap and would always break and disappear into the oblivion and wonder that is a school playground. The necklace charm worked better as a kid, but now that I’m an adult, I’m not really a necklace person. I don’t need anything bringing attention to my big round head anymore than necessary. Can I find a bracelet that fits my rebellious, edgy, rockstar, non-conformist style while not totally ruining the times when I need to err on the side of dressing professional? I do get paid to be a librarian, after all. I have two Road ID‘s that I wear while cycling that are so well worn that the information on them is barely legible anymore (not to mention outdated and inaccurate, aside from me still being a T1 Diabetic, which hasn’t changed in 29 years). I need something that’s going to hold up with time…and oil changes, or whatever mess I get into. Maybe I should get a tattoo. I’ve wanted a tattoo for awhile now, but haven’t found something that I’m so passionate about that I feel the need to get it inked onto my body. As a dblogger and d-advocate, does my passion for the education about and better treatments for diabetes, plus my own health, meet the passion threshold to merit getting a tattoo? My girlfriend’s dad says that “A tattoo is a permanent reminder of a temporary state of mind.” I tend to agree, but my diabetes isn’t going anywhere, and if it does, I would gladly live with a permanent tattoo of when I USED to have diabetes. Alisha Wilkes's diabetes tattoo, which I think is pretty much AWESOME! The key here is that all of us PWDs should wear our medic alerts in some way, shape, or form. Paramedics and emergency personnel are trained to look for them, and it is in our personal best interest to still be able to communicate with them, even if we are physically unable to. Low BG’s can sneak up on those who are in the very best control. It’s diabetes, it happens. We feel guilty about it afterward, like it is our fault, as if we caused it. However, I would much prefer to be around to feel that way, than to not be around because the person that found me had no idea that I have special needs. So yes, you do indeed need a medic alert ID. So do I. Now where did I put my wallet?